Create an elegant heirloom hanger cover in just one morning or afternoon. 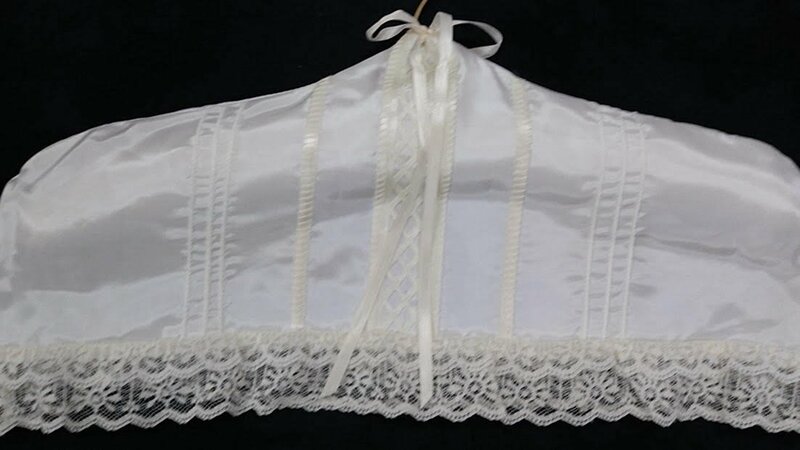 Construction techniques include 4-thread overlock, gathering, pintucks, and 2-thread flatlock with ribbon and lace insertion. It's the perfect project if you are a new serger or if you need a refresher course on the different techniques a serger offers. Enjoy creating your own heirloom hangar cover! It's also the perfect project for a quick gift. Betty Hanneman. Betty recently relocated from Wisconsin where she taught machine lessons, workshops, class and Serger Club at Nancy's Notions. She also taught High School and College Home Economic courses for many years. Betty enjoys all things sewing, quilting, serging and embroidery! Plus supplies so be sure to pick up the class list in advance.